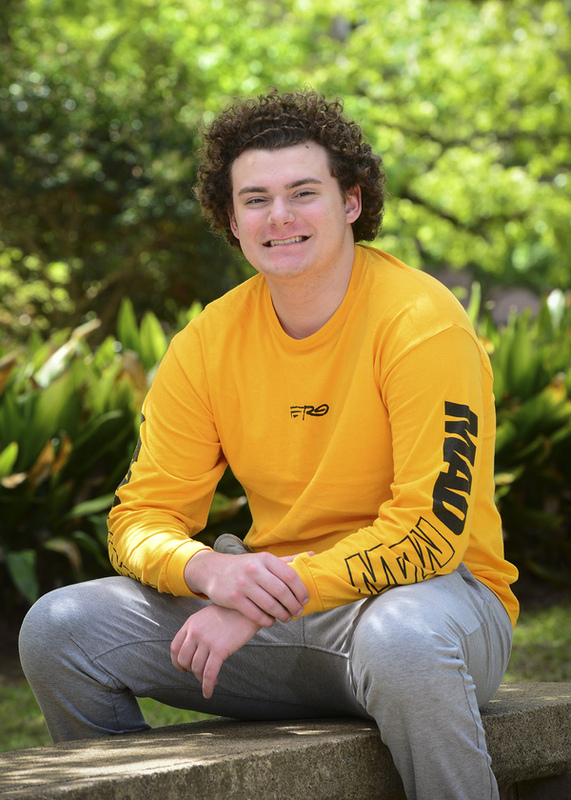 Stephen F. Austin State University student Travis Maclin III was chosen as a finalist in the Undergraduate Research conference for his research project "Fitness v. Physique: Is Body Image Harming our Health?" The conference will be held from 4 p.m. to 7:30 p.m. April 17 in the Baker Pattillo Student Center Theater and Twilight Ballroom. A Stephen F. Austin State University student's research regarding social media, fitness and body image has been selected for presentation in the SFA's upcoming Undergraduate Research Conference. "Fitness v. Physique: Is Body Image Harming our Health?" is the result of months of study by SFA freshman Travis Maclin III, a kinesiology major from North Richland Hills. Maclin's findings will be displayed as part of a poster presentation on April 17 in SFA's Baker Pattillo Student Center. Patricia Berthot, lecturer in the Department of Kinesiology and Health Science, encouraged Maclin to participate in the conference when he came to her with questions about body dissatisfaction and how people perceive themselves. "He has taken this information and is running with it," Berthot said. After using a body mass index scale, Maclin's interest in body image was piqued. "Looking at the BMI made me feel like I needed to take better care of myself, and I started examining everything that's around us and the things that we compare ourselves to," he said. Maclin began by surveying classmates about their interest in health and fitness, asking questions such as "Do you take your health seriously?" and "Would you rather have a fit body or a desirable physique?" "Everyone wanted to be healthy, but not many people wanted to be fit," Maclin said. "That doesn't make sense because fitness is a really big part of health." These findings helped solidify his belief that people were more focused on their appearance rather than their fitness. While a desirable physique is not something everyone has or needs, he said, fitness is something that everyone can achieve. "Anyone can be fit, which is what a lot of people don't realize. A lot of people think you have to be skinny or able-bodied to be fit," Maclin said. "In my opinion, it's just a matter of going the extra mile." Rather than spending more time exercising to lose weight, people will resort to less-effective measures. "If I ask people what's the first thing they're going to do to lose weight, they're not going to say working out, which is the hardest thing," Maclin said. "They'll eat less, or they'll drink more water. I really wanted to try and push that toward being more fit and valuing fitness." One factor contributing to this unhealthy way of thinking is the way people portray themselves on social media, he said. "You look at Kim Kardashian and people who have undergone plastic surgery, and they have people help them look the way they look, and I see a lot of people compare themselves to them," Maclin said. "That's really unfair because if you try and compare yourself to someone whose career is to look presentable, it's really not going to help you." Committed to examining its effects, he stopped using social media for a month to document the impact it was having on his body image. "You just feel better," Maclin said. "You have more time to yourself, and you're not comparing yourself to other people. It feels really good." As a result of his research, Maclin advocates for finding a balance between the desire to improve and the need for body positivity. "I really think we have a societal problem talking about fitness, weight and health," Maclin said. "There needs to be a happy medium between loving yourself, no matter where you are, and working to better yourself." To learn more, visit the Undergraduate Research Conference 4 p.m. to 7:30 p.m. April 17 in the student center theater and Twilight Ballroom.